The GDPR is set to have wide-ranging implications for the type of data which can be used in non-production environments. Organizations will need to understand exactly what data they have and who’s using it, and be able to restrict its use to tasks where they have consent. 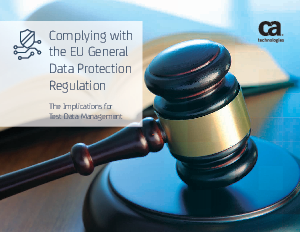 Learn more about how you can protect the data that matters most and comply with the GDPR.